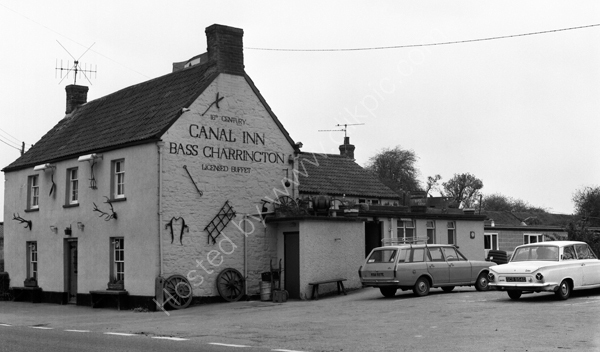 The Canal Inn, Wrantage, a 16th century pub with the photo taken around 1974, with two cars, one a Cortina GCR 954D. Visited 2012 and all the farming implements and stags antlers have gone from the external walls but shutters have appeared for the windows since this photograph was taken. For commercial use of this photograph please visit www.alamy.com and search for E8BDD9 but for a one off print, please see below.